The Housing Choice Voucher (HCV) Section 8 program is a subsidized housing program which allows qualified participants the opportunity to rent housing units in the private market via federal funds provided to Ithaca Housing Authority by the U.S. Department of Housing and Urban Development (HUD). 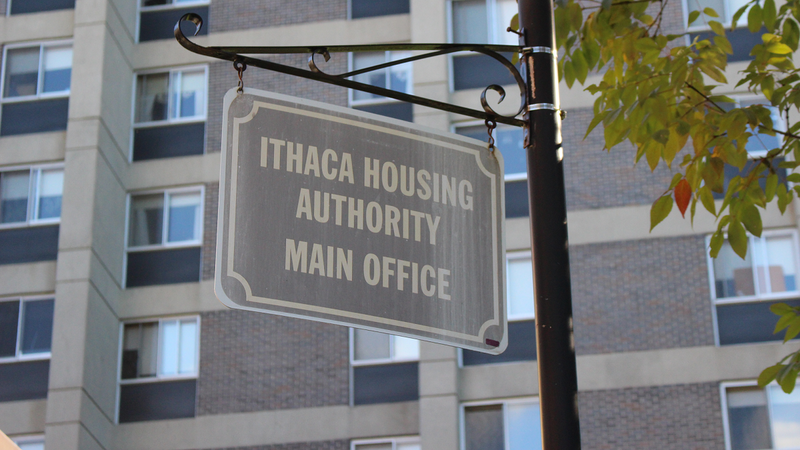 Ithaca Housing Authority currently administers 1033 Housing Choice Vouchers throughout Tompkins County. 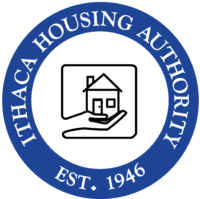 Unfortunately, the need for rental assistance in Tompkins County outweighs the funding that is provided to us from HUD, so therefore IHA uses a waiting list to administer program assistance to qualified applicants as it becomes available. By clicking How To Apply above you can download the Section 8 form. The first step to apply for HCV Section 8 assistance is to complete a preliminary waiting list application. Notwithstanding the above, families who are elderly or disabled will be offered housing before other single persons/applicants. When your name reaches the top of the waiting list, you will be notified via USPS mail and invited to attend a pre-screening meeting. At that meeting, we will be verifying information regarding your family composition, your income and assets, your status of previous assistance (if any) with a HCV or Public Housing (PH) program, your residency status, and your household’s citizenship or legal immigration status. In addition, we will be conducting a criminal background inquiry for all members of the household age 18 and over. If you are found to be eligible for HCV Section 8 assistance, then you will be invited to attend a briefing. At that meeting, you will be advised of the HCV program rules and you will be provided with all of the necessary forms required to apply for assistance with a rental unit. In addition, you will be issued a voucher. The number of bedrooms you qualify for. The dates you can search for housing. The list of HCV family obligations while on the program. IHA will assign the number of bedroom(s) you qualify for based on your family size. The family may select a different size dwelling than what is listed on the HCV voucher, but IHA will apply the payment standard for the smaller of either the bedroom size shown on the voucher or the actual bedroom size of the unit selected by the family. Housing Quality Standards prohibits more than two people per living/sleeping room to avoid overcrowding. You must submit completed Request for Tenancy Approval (RFTA) forms prior to the expiration of your voucher. Once the RFTA has been submitted, the time of the voucher stops/suspends. If the unit is found unacceptable by IHA, you will be given the remaining time on the voucher from when it was suspended to look for new housing. The unit must be deemed affordable according to HCV program regulations. The rental costs must be reasonable for your area. The unit must pass HCV Housing Quality Standards inspection. Payment standards represent the maximum amount of subsidy that IHA can provide to a family. These payment standards are updated annually in accordance with HUD’s published Fair Market Rent (FMR) prices for Tompkins County. If you are considering a housing unit where you must pay for utilities, then IHA will have to assign a utility budget (provided by IHA) to determine if the unit will be affordable. Utility charts are updated each year. When determining if the unit that you have selected is affordable within the HCV program requirements, your assigned caseworker will need to determine what the gross rent of the unit is. IHA cannot approve a unit if the gross rent (contract rent + utility budget) exceeds the payment standard for families that have $0 income or are receiving public assistance. HCV regulations prohibit a family from paying more than 40% of their adjusted monthly income towards their family contribution at the time of signing an initial lease. Your assigned caseworker will need to determine what the maximum allowable gross rent is for your household in order to make a final determination of affordability. The family share is the family’s contribution towards the gross rent. The family share may be the TTP or a higher amount, depending on the unit that the family selects. For a family leasing a unit with a gross rent at or below the payment standard assigned to the family, then the family share will be the same as the TTP. If the family leases a unit with a gross rent above the payment standard for the family, the family share is the TTP plus any amount by which the gross rent exceeds the payment standard. HCV regulations prohibit a family from paying more than 40% of their adjusted monthly income towards their family contribution at the time of signing an initial lease. The HUD assigned formula to calculate rent is provided here. IHA must conduct an initial inspection of the unit you choose to ensure that it meets HCV program standards for quality housing. The housing unit must pass inspection before final approval is given to rent the unit. You will find more information regarding our inspection process in your briefing folder. We have also included a pamphlet called “A Good Place to Live” in your briefing folder as well. You should use both of those items as guidelines to personally inspect the unit to determine if it is a decent, safe and sanitary unit. If the unit fails the initial inspection, the landlord will be informed of the failed items and be given time to make the repairs. If the unit does not pass a re-inspection of the unit, then you will be notified of the outcome and advised to find another suitable unit. Do not sign a lease with the owner until IHA has approved the unit. The HUD tenancy addendum will be attached and included with any lease that you sign. IHA recommends that you review the “Tenants Rights Guide” provided to you in your briefing folder before signing a lease. Once IHA has approved the unit, then a Housing Assistance Payments (HAP) Contract will be sent to the owner to sign. The HAP Contract represents a written agreement between IHA and the owner. The contract spells out the owner’s responsibilities under the program, as well as IHA’s responsibilities. Under the HAP contract, IHA agrees to make housing assistance payments to the owner on the participant’s behalf. Those payments will be sent once IHA has received a signed copy of the HAP contract along with a copy of the owner/tenant lease. Once you become a HCV program participant, IHA must conduct a reexamination of family income and composition at least annually. This includes gathering and verifying current information about family composition, income, and expenses. Based on this updated information, the family’s income and rent must be recalculated. HUD requires the PHA to inspect each unit under lease at least annually to confirm that the unit still meets Housing Quality Standards (HQS). Family circumstances may change throughout the period between annual reexaminations. Once you become a HCV program participant, you will be required to report changes with your household composition and income within 10 days. Based on this updated information, the family’s income and rent may need to be recalculated. A family’s right to move is generally contingent upon the family’s compliance with program requirements. If you would like to transfer from one unit to another with continued HCV assistance, then IHA must verify that you will be leaving your previous owner in good standings with no money owed and with damages which do not exceed normal wear and tear. Relocation packets may be found here. Portability is one of the benefits of the HCV program that enables you to use your Section 8 assistance in other cities or states outside of Tompkins County. Portability was created to allow you the freedom to choose which area of the country best suits the needs of your family. For additional information about how portability works, please click here. For a list of Public Housing Authorities (PHAs) nationwide, please click here.